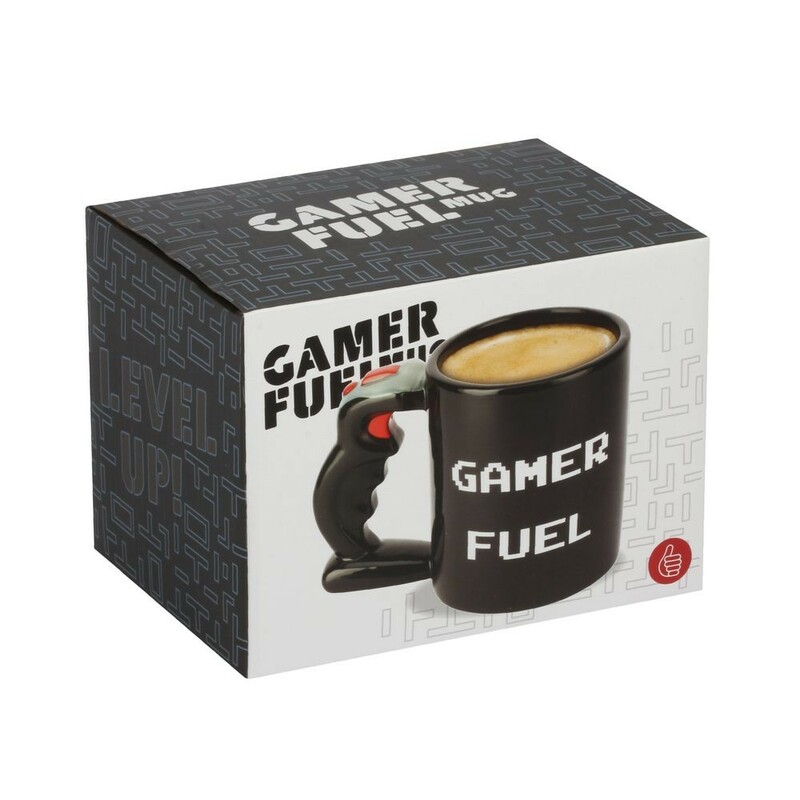 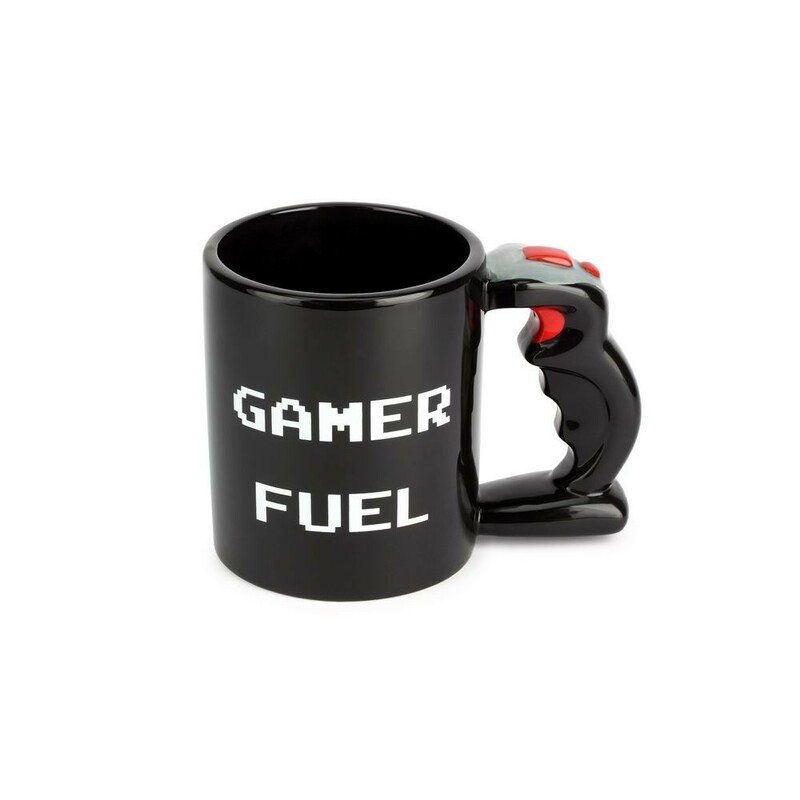 Refuel, power-up and get an extra life with the Gamer Fuel Mug. 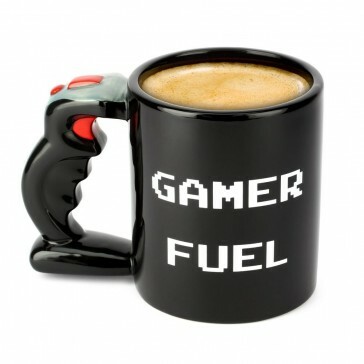 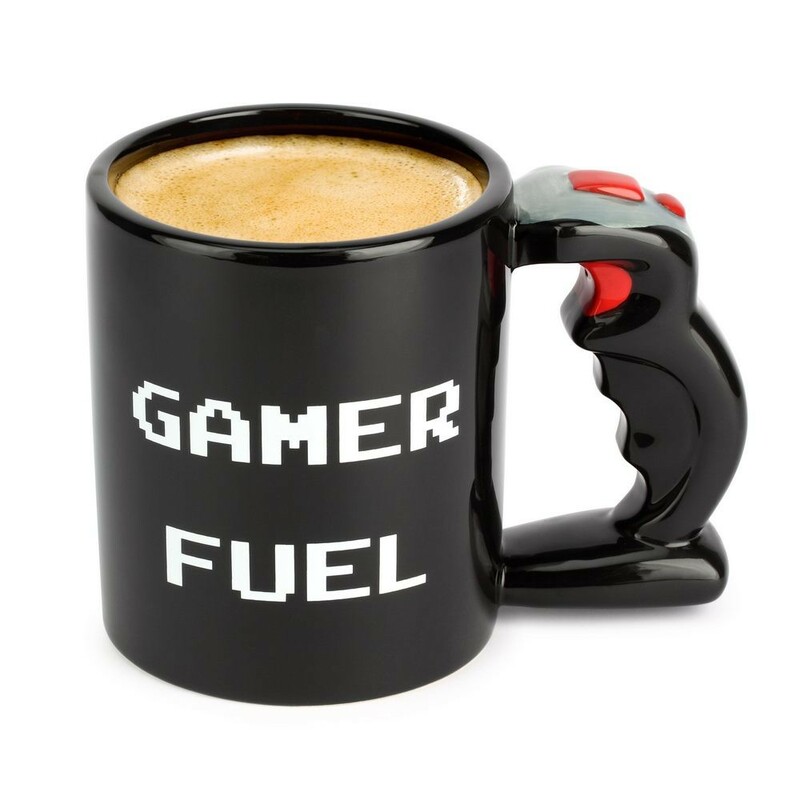 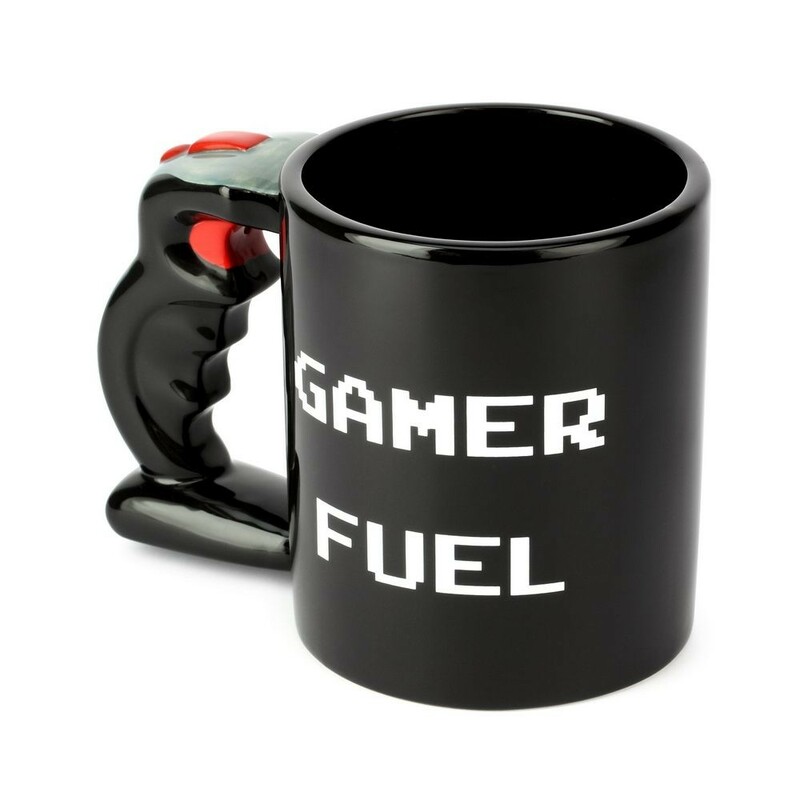 The Gamer Fuel Mug has an arcade style joystick handle, a call back to the days of chunky gaming peripherals and tangled wires. The perfect mug for gamers on an all-night marathon.